I love grass. I know those three words grouped together sound silly, but they are true. I love the look of plush, bright green grass. In the spring when things begin to turn green, I get giddy with excitement. However, our lawn hasn't been plush nor has it been bright green. We've struggled with our lawn for a couple of years now, so when we drive around and I see these full green lawns, I think, Ugh! Why can't our lawn look like that? I want their beautiful grass. My husband always tells me the same thing. "They water and fertilize it." We've slacked on the watering and fertilizing these years, which has caused our not so pretty grass. The heat of the sun in the summer months and the lack of rain will quickly kill a lawn. In order for it to look nice, we must water and fertilize it. What about in our life? We see a co-worker accepting a large bouquet of roses from the delivery man or a friend posting to Facebook about her big date night and we think why can't my marriage be like that. We see a husband opening the car door for his wife or a couple walking hand in hand and we wonder why can't we be like that. We've been beat down by this marriage thing. It's harder than we ever imagined. This meshing of two lives is taking a toll and you begin to wonder if it's worth it. You are your husband are constantly bickering with one another and days may pass without a single physical connection. 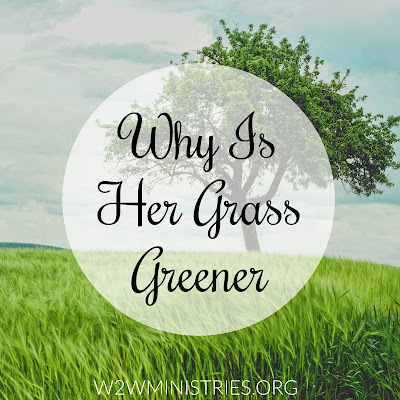 Just like the hot sun and lack of rain will kill a lawn not watered and fertilized, the pressures of life will kill a marriage that has not been watered and fertilized. In order to get our lawn greener and more full for summer, we had to begin in the dark winter months. Then, we must water and fertilize it regularly. In order to make our marriage work, in order to see a positive change, we must water and fertilize it regularly, especially in the dark times. Invest in your marriage friends. Don't leave it to happenstance. 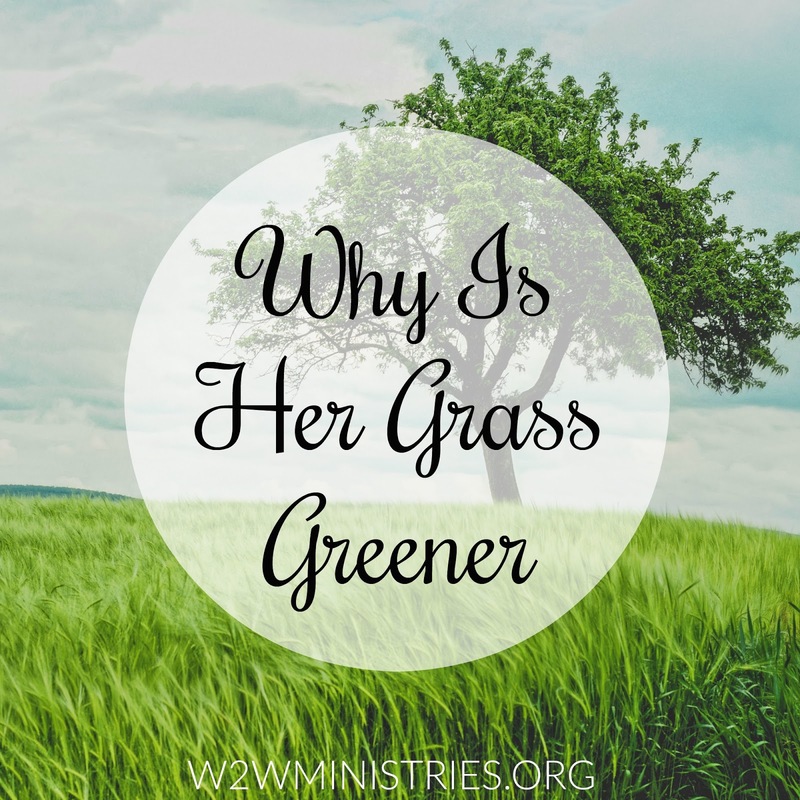 Greener grass has been watered and fertilized. A happy marriage has been watered and fertilized. Loved this article and shared it on my FB. Thank you Phyllis! ♥ God bless! I love this! May we not forget that any foothold in our home, can let the evil one in. I know in motherhood we can be distracted by kids that we forget our husbands and then our marriages can take a hit! Praying over ya friend!! Yes! We do not want to give the enemy a foothold, we must stand strong. Thank you for stopping in Lindsey! I can relate to this in my singleness. More so because I see all these ladies I grew up with getting married and having kids, and I am over here thinking, why can’t I have that? Gotta remember to work on myself in being content with my singles now in order to prepare myself for marriage! I imagine that is hard! It's hard in general not to look at others and have a bit of envy. Than you for sharing Emily!